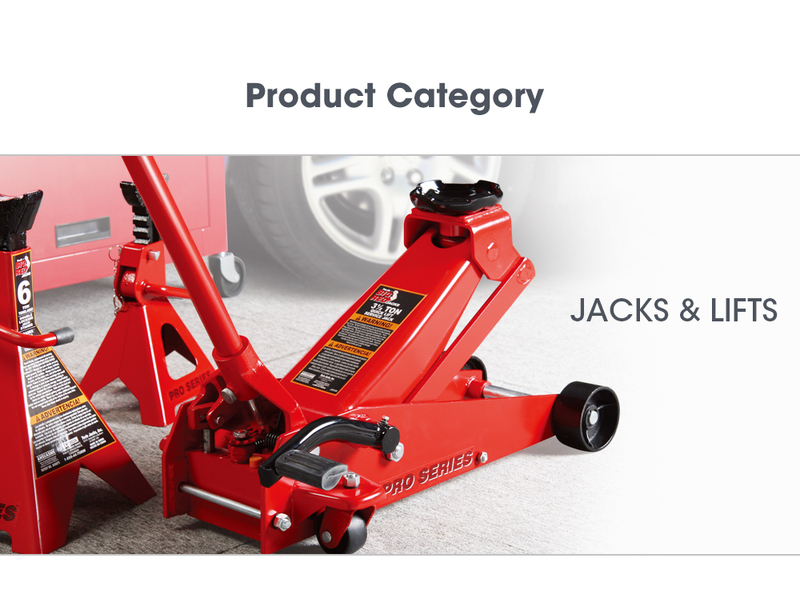 The company has jacks and its complete extended warranty maintenance equipment industry chain.There are commercial jacks,lifting machine production center in Jiangsu Changshu.The compony is dedicated to service DIY and professional auto repair cuntomers.There are automobile jack production center in Jiangsu Nantong,which is dedicated to service OEM jack factroy.There are trolly jack production center in Anhui Ningguo.Changshu Tongrun Auto Accessory Co.owns a number of subsidiaries,such as stamping,welding,metal processing,packaging and printing compony to service manufacture requirement.Hundreds of thousands of people are involved in the industrial chain and creat jobs for families.The compony produces commercial jacks,professional jacks,lifting machine including other car maintenance equipment.Commercial jacks, professional auto maintenance equipment, auto lift, automobile jack are more than 2000 products,cover 4s shops.Tongrun is the productor who provides the overall solution of the hydraulic auto maintenance equipment.Its controlled companys are all over the world. 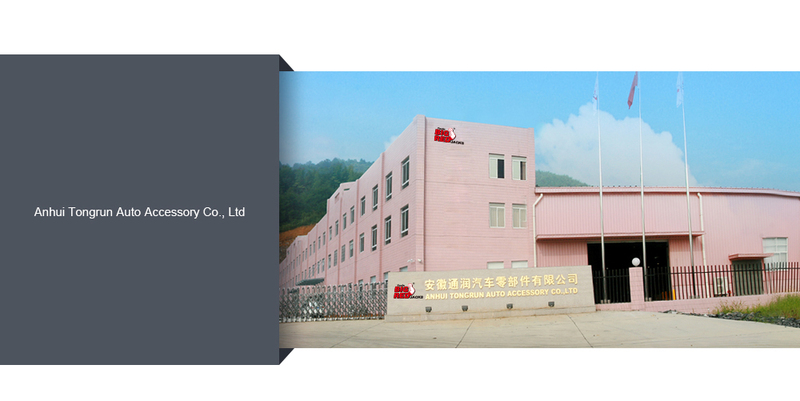 Co., Ltd in Haian.The land area of Nantong Tongrun is 180000 ㎡.Tongrun is equipped with modern jack production lines and jack testing center.Tongrun also has profes-sional team on jack design and development. The company carries out the ISO/TS 16949 quality management system and ISO 14001 environmental management system.Tongrun mainly produces scissors jack with load less than 2 Tons used for passenger car and MPV, hydraulic jack with load between 2 to 30 Tons used for light truck and heavy truck and auxiliary tools for changing wheels.The products are mainly supplied to automobile factories such as Ford, GM, Volvo and other well-known automobile companies. 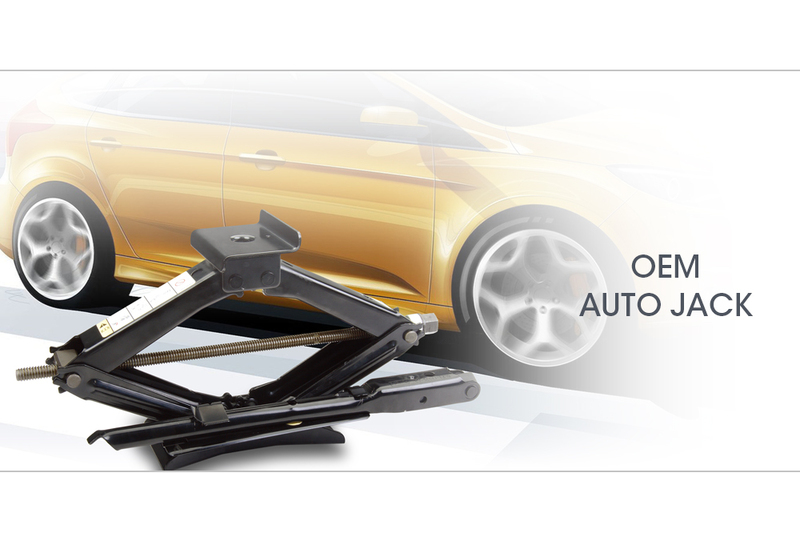 The products are exported to all over the world with sales office in Los Angeles, USA, agent in Japan, warehouse in Detroit, USA and Germany.Tongrun built good reputation in the supplying to these automobile factories. 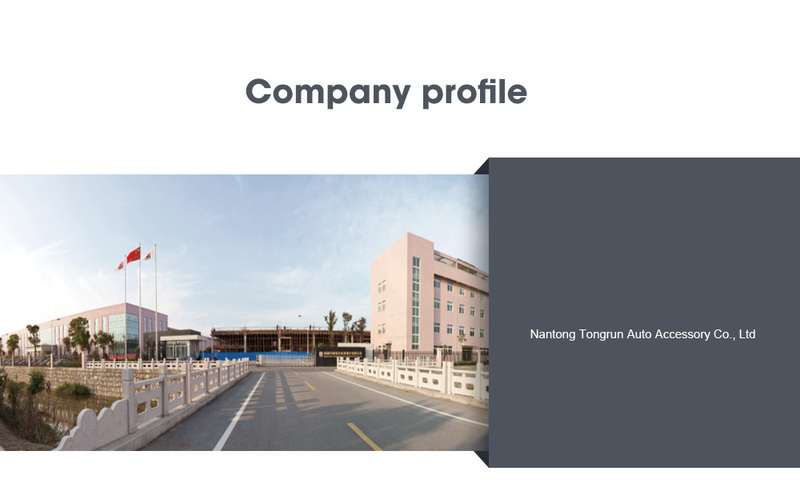 Tongrun is Ford’s Q1 supplier, A-class supplier of GM and B-class supplier of Nissan.Nantong Tongrun has become a big global leader manufacturer of jacks in the world. 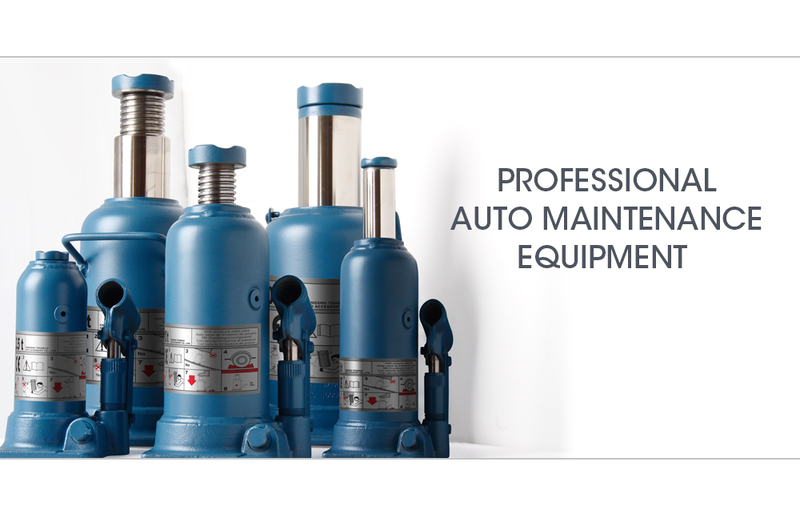 Anhui Tongrun Auto Accessory Co., Ltd was built up as a production base for jacks by Changshu Tongrun Auto Accessory Co., Ltd. Anhui Tongrun and is located in Ningguo City, Anhui Province. It is considered a high-tech enterprise in Anhui Province.The compony wan founded in 2011.The main products produced are commercial trolley jacks and jack stands.The company has automatic assembly line, automatic assembly line, intelligent sheet metal punching line, automatic welding line,welding special machine, base high pressure positioning cleaning line.Its equipment technology is ahead of peers.The company is managed according to the ISO 9001 and ISO/TS 16949 standards. Relying on the advantages of the Tongrun Jacks, Anhui Tongrun will gradually become the R&D center and manufacture center of commercial jack and related products in Ningguo City. 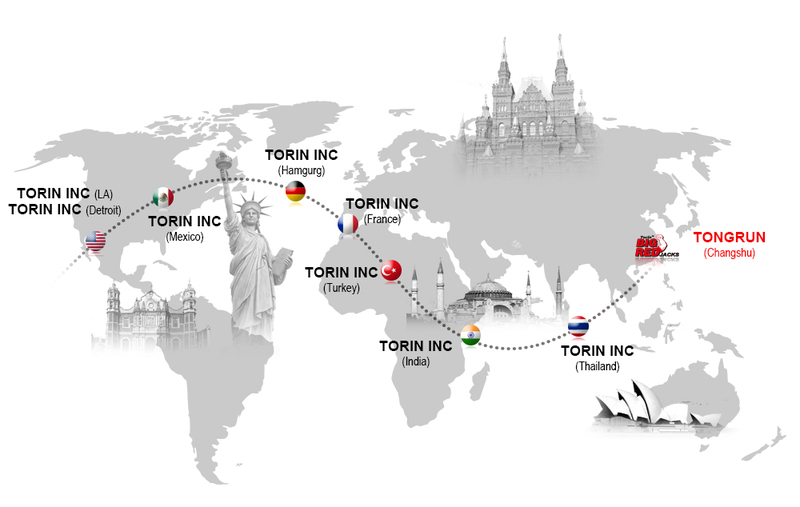 TORIN，INC.Located in Ontario, California,the subsidiaries of .Changshu Tongrun Auto Accessory Co.it has a warehouse area of more than 100,000 feet to meet customer requirement.TORIN has advanced design philosophy and market acuity and get a place in the after-sales service industry.The compony has its own booth at the "hardware show" and "auto parts and after-sales service exhibition" held every year in Las Vegas,which provides a good platform for communication between facotries and cusotmers,shows customers our products and services.The company has nearly a hundred employees, specializing in the north American and Canadian markets.Products have a market share of more than 60% in the United States and have a wide range of influence.TORIN's major brands includes “BIGRED”、 “Torin”、 “Performance”、 “BLACKJACK” 、“TCE”and so on.The company has its own brand design team, independent technology and patent department to conduct market research, analysis and development.The more important is that,the compony has after-sales service system.Free customer service number1-888-44-torin.TORIN can solve the customer complaint, deal with the quality problem at the first time.TORIN,INC. was founded in 1993 by president Ji Jun. He is leading the company to a higher level with his strong technical background, enthusiastic work enthusiasm and outstanding leadership. To serve ford and general motors and display the support for the big three better.TORIN, INC(Detroit) is founded in the global motor city Detroit in 2006.In the past ten years,the compony develop from a room to a warehouse of 90000 feet.The compony is established in the service for the big three.TORIN fully support tongrun's business in OEM field from market development, engineering design, project management, jacking test, to the three automobile factory visit, after-sales management and other aspects and grown into the part of tongrun OEM. 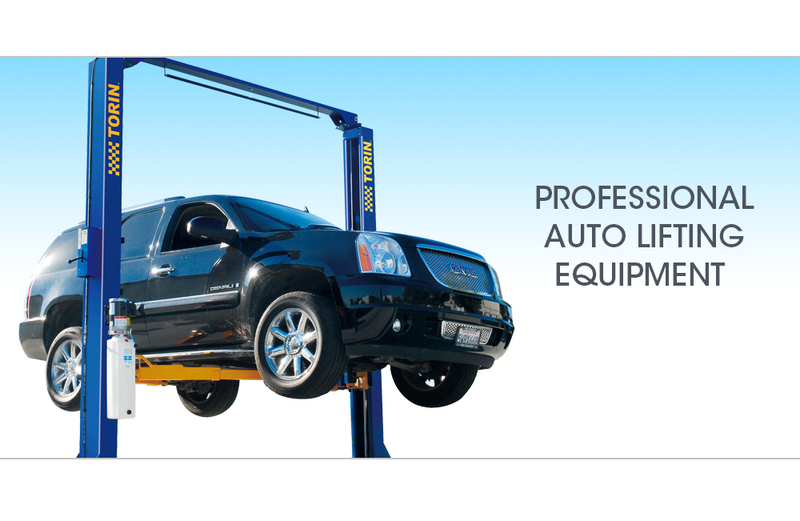 The company distributes ford throughout North America and South America,and most of gm's north American factories. The annual delivery product reaches hundreds of millions of yuan.At the moment, Detroit's big three automakers, general motors, ford and Chrysler, are all our customers.To ensure customer satisfaction,the company is meticulous in all aspects of distribution,implement the quality inspection measures.We are dedicated to providing quality auto parts and services for the three main engine plants on time.Company will continue to adhere to the concept of customer value maximization, rely on teamwork spirit of the staff, ensure that the three hosts, a full range of services and cooperation, make the company to the next level.